Last weekend, Tim and I poured wine at the Atascadero Wine Festival. If you’ve never been to a wine festival, you should definitely find one in your area (or come visit Paso Robles Wine Country…we have lots!). As long as you keep it responsible and don’t try to taste every wine there, you will learn a lot and maybe find some new favorites! During the event, we traded shifts with our fellow pourers so that we could walk around and taste. I had some friends visiting from New York (Hi, Mike and Kate! ), and the timing worked out perfectly so that they were able to come to the festival. They had never been wine tasting before (and of course, we took them tasting the next day, too! ), and I had a fabulous time sharing my passion with them. My two favorite tastes of the day were both bubbles! Domaine Le Mieux was a new discovery for me. They are opening a tasting room up in Templeton, hopefully by the end of summer, and they make Vin de Pomme…that is, Apple Champagne! (technically, Sparkling Apple Wine). I wish I had taken some photos, but I’m sure I will be mentioning them on here again – they are definitely a new favorite! My other favorite taste was what the team at 15 Degrees C, our fabulous local wine shop, was pouring – Cava and Pink Port cocktails. 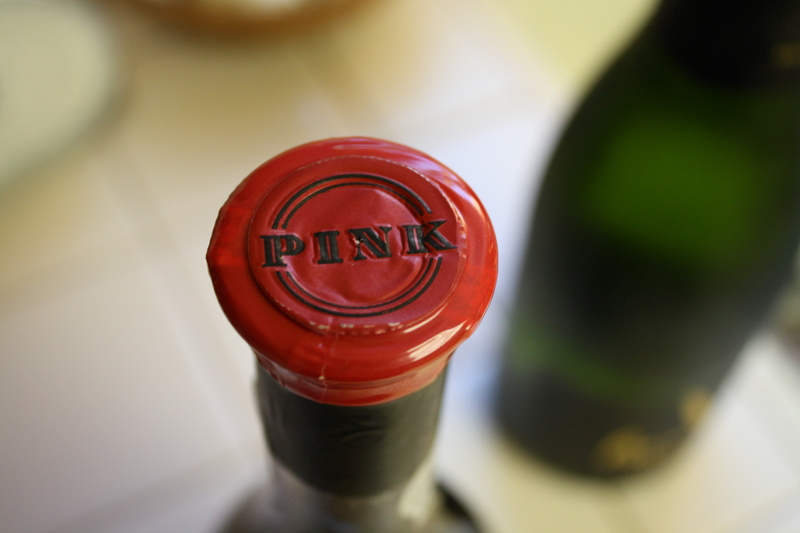 Pink bubbles can do no wrong in my book; the next day I stopped by the shop to pick up the makings. The four of us polished off the champagne part of the mix before dinner – at $8 a bottle, I definitely should have picked up two! p.s. Become a fan of Sweet Life Laur on Facebook! 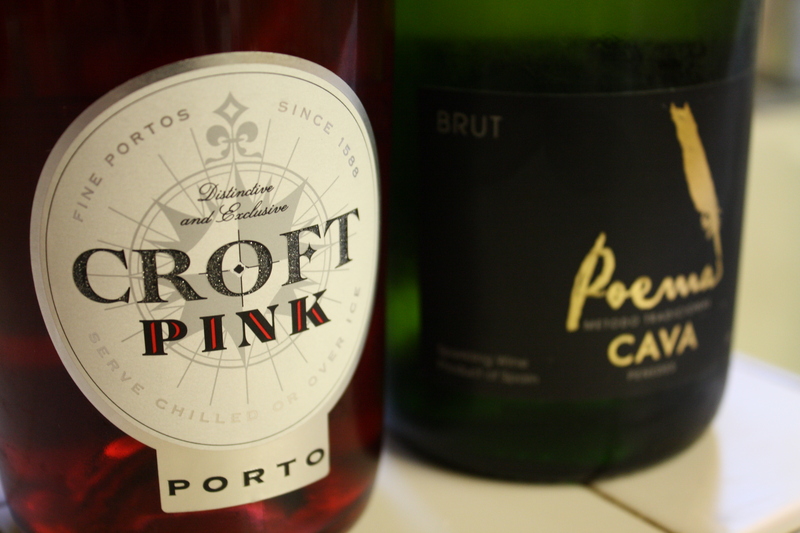 Pour a splash of Pink Porto into champagne glass. 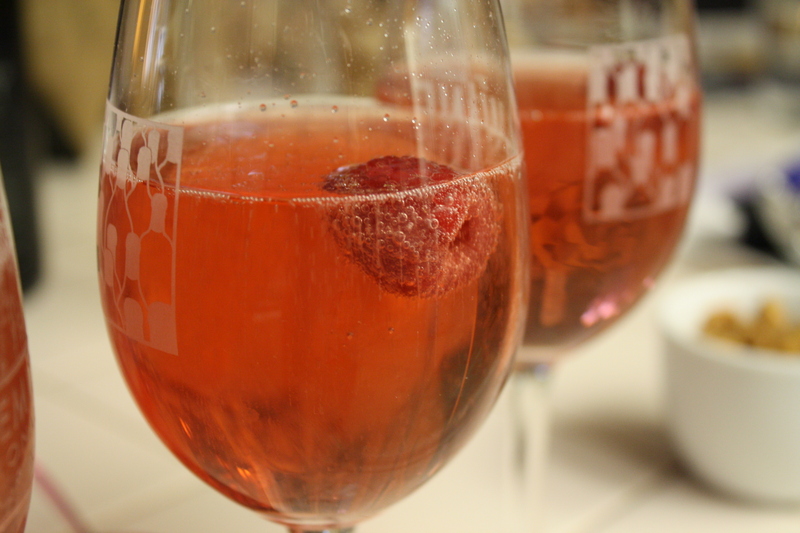 Top with cava, and garnish with a raspberry. Note: Yes, I know I didn’t use champagne glasses. But I should have, and you should too! This entry was posted in cocktails, wine and tagged cava, cocktail, pink port, raspberry, wine by Laura Zolnoski. Bookmark the permalink.